Hotel Villa Padierna is a world-famous golf and spa hotel. The hotel has a wonderful and romantic garden with lots of fountains and abundant green vegetation. Sit back and enjoy the peaceful atmosphere of our terrace by the pool side, under the Andalusian sun or under the shade of a tree. With a relaxed environment, surrounded by pool, gardens and fountains, the Pergola (Pool Bar) with drinks and snacks service is open during the day for a light lunch. Pool Bar offers an impressive range of cocktails and fresh fruit smoothies. All meals and cocktails were excellent and the service was very good. In conclusion we can say that the Villa Padierna Pool Bar is a luxurious restaurant where the sun and the pool. 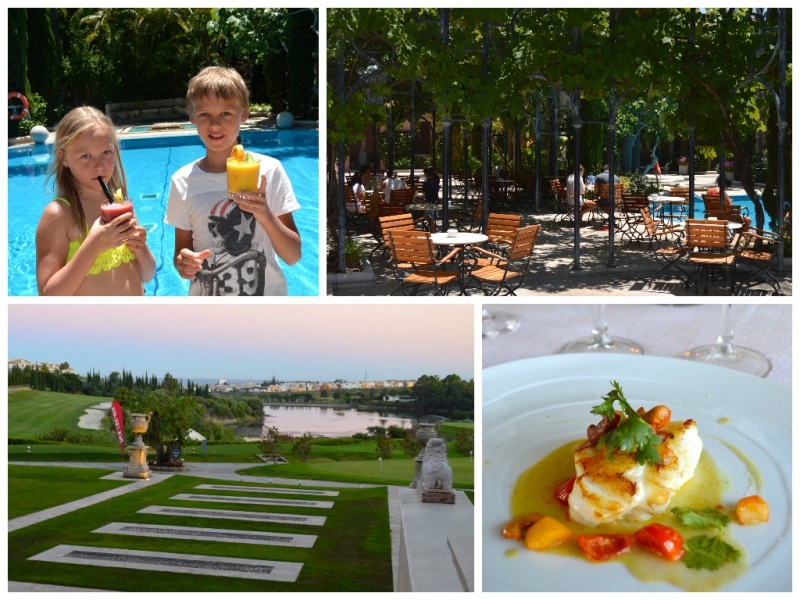 Villa Padierna Pool Bar is a great place for a kids. 1/2 Cava Bottle per room and per day from 12.00 to 17.00 hours. 1/2 Cava Bottle with rent the hammock from 12.00 to 17.00 hours.